Glorious little pots of goodness and flavour! Delicious strawberry chia pots are a great way to get your protein, whilst being a delicious breakfast/dessert option! Chia pots are always a great option, as you can make them at night and wake up and enjoy it right away! You can store it in a jam jar and take it on the go with you. Maybe take a spoon too- haha! 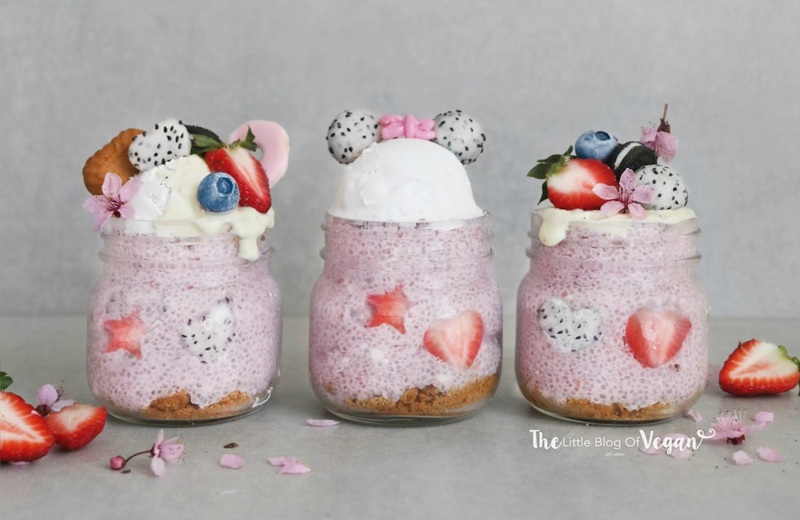 These chia pots are ultra creamy and fruity, a tasty and refreshing way to start the day or a feel-good dessert! Step 1- Place the almond milk, coconut cream and strawberry jam into a bowl and whisk. Step 2- Add in the chia seeds and stir to combine. Step 3- Add some cookie crumbles to the base of your jars (optional). Step 4- Spoon in the mixture. You could even add some decorative cut out fruit on the inside of your jars before filling them up. Pop into the fridge and allow to set overnight. I served my pots with some coconut cream and dairy-free yoghurt, along with some chopped fruits/dragonfruit balls. For a dessert option, add on some vegan cookies or icecream! 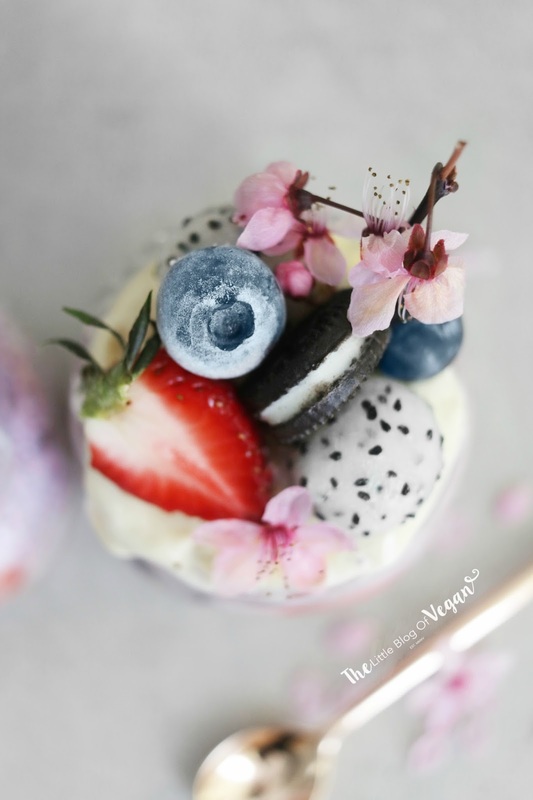 This pudding sounds and looks so delicious and healthy! I have some chia seeds I was wondering what to make with them and this looks like a really good idea. It is awesome!Thanks a lot !I want to share with you super healthy, delicious and low in cal PESTO SAUCE RECIPE ! Subscribe to Our Channel , very soon we will have a lot of interesting recipes ! What kind of cookies do you use for the base?